A genuinely peaceful community would be one which, Girard contends, exposes its own strategies of sacrificial alienation and enters the light of ‘true fraternity.’ It would be a society without need of scapegoats…such a community would commit itself instead to principles of ‘transcendence’ beyond time and history. It would take its lead from the exemplary action of Christ, who underwent death on the Cross in order to expose the sacrificial lie for once and for all by revealing the innocence of the victim. The sacrifice to end all sacrifice. In short, peace requires nothing less than the decoupling of the stranger and the scapegoat. And this means acknowledging that the genuine ‘other’ is always guaranteed by a radically divine Other – an asymmetrical, vertical alterity irreducible to the envious ploys of mimetic desire. 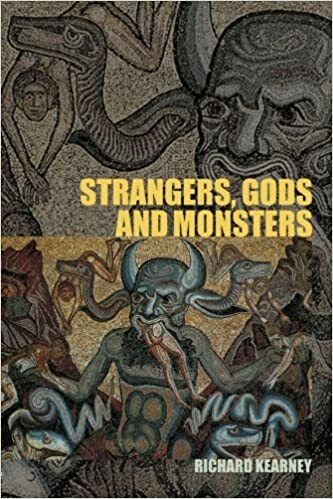 Girard, like Levinas, calls this ethical alterity – even if it addresses us through the face of the other – God.” – Richard Kearney, “Strangers and Scapegoats” in Strangers, Gods and Monsters.